Here was something he had spent his life dealing with – rejection. But rather than believing in himself and his own judgement in the face of such hostility, he believed in Him. And how. Fusing blues commonplaces like ‘walk out on my own I A thousand miles from home … don’t mind the pain I Don’t mind the driving rain’ to express the kind of treatment meted out to many an accidental martyr, he insists such belief cannot be shaken – not even ‘if white turn to black’. At song’s end, though ‘friends forsake’ him, he knows he ‘will sustain’. @#176 on my list of Bob Dylan’s top 200 songs. I myself don’t believe in “him”, but this is a wonderful song. 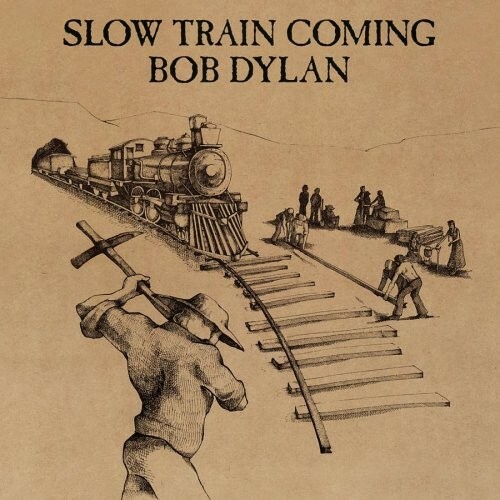 Great performance on “Slow Train Coming”, but it’s the different live versions (79-81 in particular) that really shakes me. Usually performed with intense passion & sincerity.. when listening time just stops & just for a couple of minutes I´m a “believer” as well. Muscle Shoals, Sheffield AL, May 3, 1979. Produced by Jerry Wexler & Barry Beckett. Bob Dylan (guitar & vocal), Mark Knopfler (guitar), Tim Drummond (bass), Barry Beckett (keyboards), Pick Withers (drums). Top year 1980 – 55 performances. Clydie King, Gwen Evans, Mary Elizabeth Bridges, Regina McCrary, Mona Lisa Young (background vocals). “I Believe in You” has become, for this particular month in the man’s lifetime, his declaration of existence. Everything is contained in this one song. We are reminded of the intensity of “Like a Rolling Stone” when it was first recorded, and again when it climaxed his European shows in May 1966. If you wish to meet Dylan, if you would like to spend some time with the private man and really find out what he’s feeling, what’s going on with him, listen to this performance of “I Believe in You.” It is straightforward, honest, enormous, filled with the exuberance of a Walt Whitman, Dylan singing in his best North American voice. He’s sharing his soul, and he knows it. “｡ﾟ*A Believer☆. *He’s One of a kind｡ﾟ? It was at a concert Bob Dylan gave in Vancouver, BC, sometime around 2008 that I realized how powerful this song can be. My wife Donna accompanied me to the concert, a little bit out of duty as she is not necessarily a Bob Dylan fan but she knows I am big time (for the record her favorite Dylan song is probably “Most of the Time” but she also loves “Positively Fourth Street). At the concert Dylan did a couple of songs whose performance left her in tears. One was “Boots of Spanish Leather”; the other was “I Believe in You.” That impressed me greatly, after all she had never heard the song before and had no idea it was birthed during Dylan’s reborn Christian phase. Neither of us are religious by the way, certainly not Christians of any stripe. Thanks for the story, neither of us two here @ alldylan.com are religious (not even close), but we LOVE Dylan’s gospel tours & records. BTW we love a lot of religious music (The Louvin Brothers – Satan’s Real pops to mind.. and a lot of Hank Williams stuff). You really don’t have to be a believer to appreciate this kind of passion. Jeeze just think about all those mind-blowing renaissance masterpieces.. I rest my case. Dylan’s gospel stuff was so intriguing, from the lyrics to the passionate delivery. 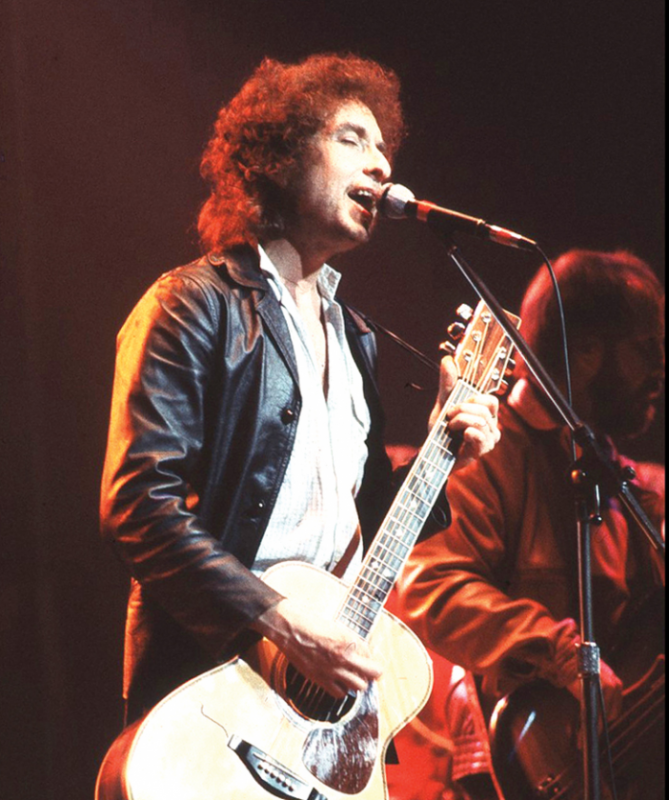 He sang so well in the late ’70s that live stuff from that period stands above most from later — although who can complain when Bob sings, even now? It’s hard to believe there is no authentic bootleg of his gospel stuff. Maybe Bob grew weary of people picking apart and criticizing his stuff, and this period was too meaningful and personal to him. It sounds that way on his between songs commentary from that period. 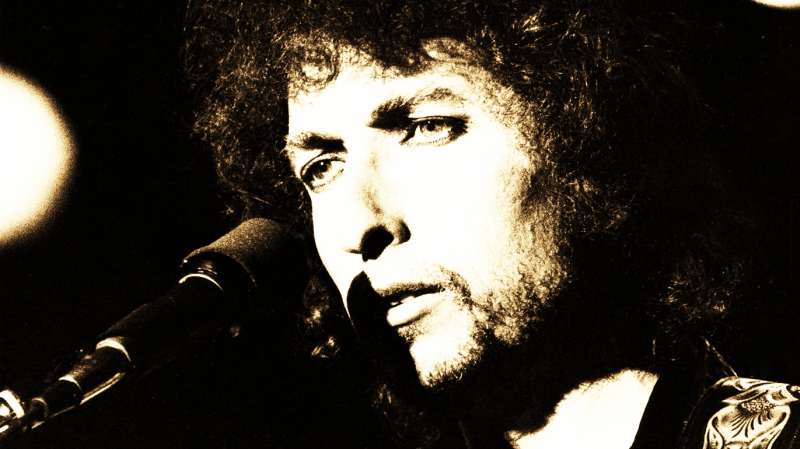 … Anyone who thinks Bob is not a great singer should listen to “Idiot Wind” and other live songs from those years: His voice complements the soulful, heartfelt lyrics perfectly. His singing in 1979/80 is passionate, soulful & plain fuXXing gorgeous. I, too, am not religious, but there is a deep spirituality in so much of Bob’s work. It’s a real gift. Such a great song. You have to think at some point they will do a bootleg series of the gospel years with lots of live performances since that seems to be a lot of people’s favorite era of his concerts.